In the unfortunate event that your Porsche requires collision repair, we understand that you demand only the best for your vehicle. To deliver only the best possible Porsche collision repair, Sewickley Porsche is proud to partner with Greater Pittsburgh Collision Works — a Porsche Certified Collision Center. Greater Pittsburgh Collision Works is uniquely qualified to repair your vehicle back to the demanding specifications set by Porsche. Since starting their collision repair business in 1981, Greater Pittsburgh Collision Works has been on the leading edge of collision repair techniques, equipment and training. Mark Miller Sr., owner of Greater Pittsburgh Collision Works, made the decision back in 1996 to be among the first collision repair shops in the US to partner with Audi of America for Aluminum repair certification. Since that time, they have also earned Collision Repair Certifications from Volkswagen and Porsche as well. 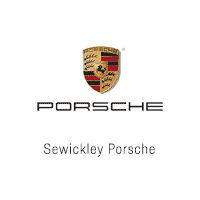 This commitment to excellence is why Sewickley Porsche has chosen to partner with Greater Pittsburgh Collision Works as the sole Porsche Approved Collision Center for all of our clients’ collision repair. Achieving manufacturer certification through Porsche is not an easy process, and requires hundreds of thousands of dollars worth of investment in equipment and training, which assures that repairs to your Porsche will uphold the rigorous standards set by Porsche for collision repair. To be considered for the Porsche Certification standard, our staff of repair technicians and managers, had to be ASE Certified, Porsche Structural Certified, and I-Car Platinum Certified – the highest recognition available from I-CAR, the Inter-Industry Conference on Auto Repair, demonstrating their commitment to staying up-to-date on current vehicle technologies, construction materials, and repair techniques. These are just some of the reasons why we refer all Porsche collision repairs to Greater Pittsburgh Collision Works, but perhaps the greatest reason has been our 35+ year partnership with Greater Pittsburgh Collision Works and the knowledge that they uphold the same high standards that we do in caring for your Porsche. Your Porsche has earned its reputation for delivering one of the most thrilling driving experiences known to automotive enthusiasts. In the unfortunate situation when your Porsche is involved in an accident, only the most thorough repair, reconstructive techniques, and materials can guarantee that your “Porsche Perfect” driving experience is not diminished. Ensuring Porsche’s high standards of quality and performance demands skilled and trained professionals who strictly adhere to Porsche procedures — which you will find at Greater Pittsburgh Collision Works. To maintain this certification, Porsche Approved Collision Centers are also continuously supported and monitored by factory technical personnel — insuring that Greater Pittsburgh Collision Works is always up-to-date on the latest Porsche models and repair techniques.